The measuring wheel with a circumference of 2m absorbs vibrations much better than a smaller wheel and holds the measuring wheel right on track. Solid spoke wheel made of aluminium die cast metal. Zero-set lever on the side of the counter to make quick resets possible. 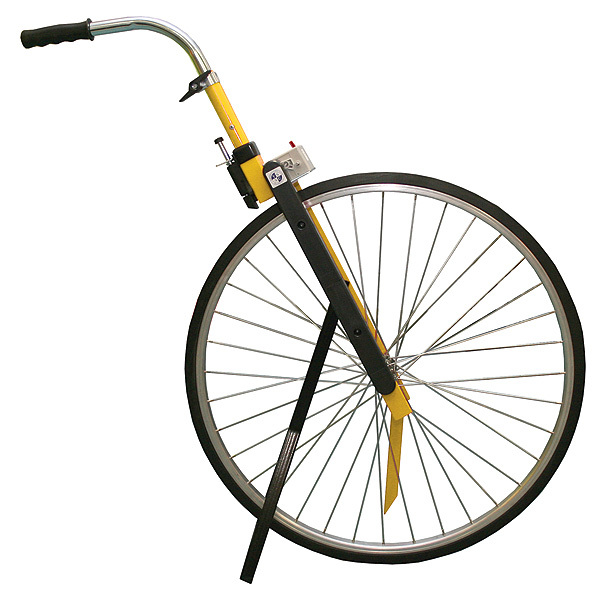 Solid stand allows your measuring wheel to stand up safely when not in use. Brake integrated into the stand prevents from unintentional changes of the measuring result. 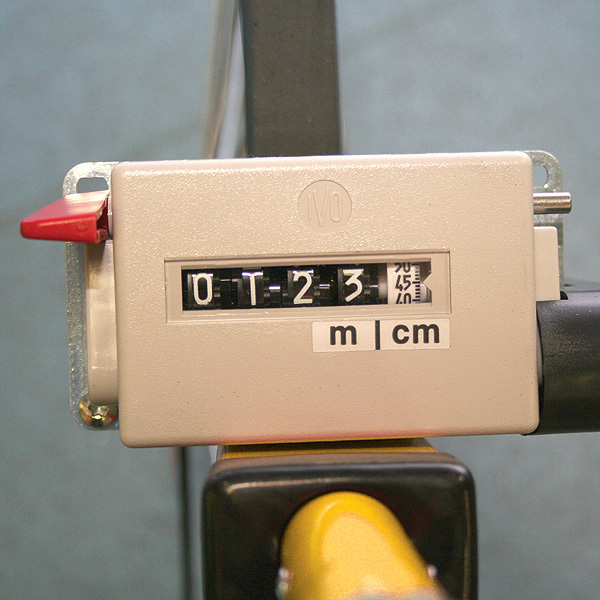 The wheel also has a zero-pointer which is attached as a pendulum on the side of the measuring wheel. Place the zero-pointer exactly above your starting and finishing point and you can be sure to get an exact measurement.